I made this with Ina May Gaskin, the mother of midwifery in the US, in mind. She has inspired thousands of midwives, doulas, childbirth advocates, and mothers. I can’t wait to meet her in person at the CMA conference this weekend! I was thinking about her work and how she has passed on her knowledge to everyone who comes into contact with her. I imagined a flow of water, passing from midwife to midwife, a collective consciousnessof mother-based nurturing that is the heart of the Midwifery Model of Care. The water flows through the midwife’s hands, nourishing the trees, encouraging them to bear fruit. These trees represents the practice of midwifery worldwide. Many midwives draw from the knowledge of the earth as well, using herbs (like the red raspberry at the base of the trees) in their practice. 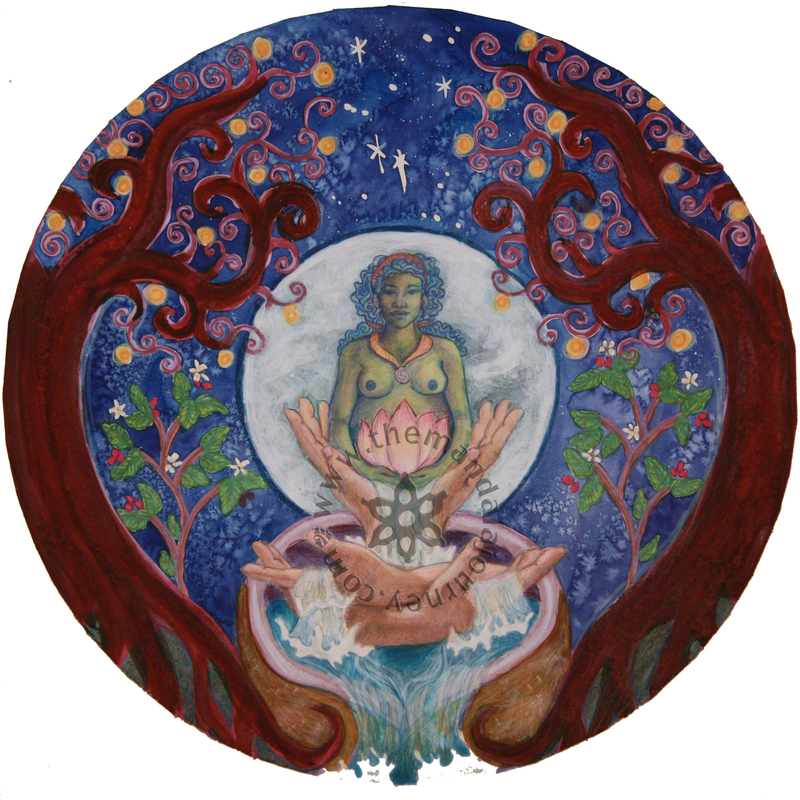 I also included the moon, as women (birthing or not) are often influenced and ruled by the moon’s cycles.